Full- and part-time matriculated and non-matriculated graduate/post-doctoral students. If you live more than 30 miles from campus, we will mail items to your home. Use the ILLiad Request Form to borrow library material and request delivery. Please indicate that you are a distance student in the Notes box. Interlibrary Loan books from other libraries cannot be mailed. Library items may be renewed online in your account. The University determines faculty status; it is not assigned by the Libraries. Retired SU faculty with emeritus status conferred by the University. Full- and part-time staff. Does not include temporary employees. May apply for free Guest Borrower account. Library Computer Use: No; any library patron may use their laptop or personal mobile device to access the University’s AirOrange wireless network as a guest. Visiting Researchers from other educational institutions who are formally associated with an SU academic department should work with their sponsored department to gain privileges. Visiting Researchers who are not affiliated with SU may apply for access to the Libraries' computers for a specific research project for up to two weeks. To apply for this access, complete and submit a Visiting Researcher Computer Access form. Sponsored Researchers are formally sponsored by an SU academic department or unit, and have been assigned an SU I.D. for a defined period of time. To apply for this access, complete and submit a Sponsored Researcher Access Form. ESF determines faculty status; it is not assigned by the Libraries. May apply for free Guest Borrower account using the Guest Borrower form. Available for a fee ($25/month; $50/semester; $100/year). Available for a fee (Not-for-Profit $75/semester or $150/year; For-Profit $150/semester or $300/year). Those with current SU I.D. or Guest Borrower cards have borrowing privileges as outlined. Other visitors may use library resources in-house. Those who wish to have another SU-affiliated individual borrow materials on their behalf may request that a proxy user be created by Libraries staff for them. Individuals are responsible for all materials checked out in their name and for all fines and charges. Borrowing privileges are contingent upon continued eligibility and compliance with all borrowing rules and library usage policies. The library reserves the right to cancel borrowing privileges and forward unpaid charges to a collections agency. Any library patron may access the library catalog through quick look-up stations located on floors 1-5 of Bird Library. Please see the Computer Use Policy for additional information regarding in-library computer use. Present your current SU I.D. or Guest Borrower card to check out items from the library. All you need is your valid SU I.D. Assistance is available if needed. You are responsible for books checked out to you until they are checked in again at the Libraries. To return an item, use the prepaid return label and box in which the item was originally sent. Borrowers can view a list of books charged out to them, renew books, and check on the status of pending requests by logging in to your account. A more convenient online renewal procedure is now available in the Classic Catalog that eliminates the need for typing titles and barcodes. Please note that online renewal must be done BEFORE the due date of the item you wish to renew online. Go to the Classic Catalog. Type your NetID and password or your ten-digit SU I.D. number and your last name and click on LOGIN. Scroll down to ITEMS CHECKED OUT and click in the RENEW box to the left of the item/items you want to renew. Scroll to the bottom of the list and click RENEW ITEMS. Take note of the new due date(s) in the ITEMS CHECKED OUT list. To keep your personal information secure, when are finished please click on the LOGOUT button at the top of the page. If you have any questions, please call Bird Library Circulation at 315.443.5727. Fines may be paid by credit card online, or at the check-out desk in Bird Library and the circulation desk in Carnegie Library (Visa and MasterCard only). Library users are responsible for the timely return of library materials in order to make them available to other readers. Fees are assessed for items that are not returned or are returned late. Note that fines for reserve items are higher than fines for general collection books. The table below lists the fines for the various types of library materials. * Maximum fine per item is prior to replacement charge. See Lost Item Fees below. Borrowers will be charged a lost item replacement and processing fee for non-returned library materials. The lost item replacement fee is $70.00 per item ($75.00 per item for Music / Architecture). Library users also have the option of providing a new, exact duplicate copy instead of paying the lost item replacement fee. In both cases, a $15.00 lost item processing fee is charged. Technology loaner equipment will have different lost item replacement fees. Please check with the Loaner page for more information. All current Syracuse University students, faculty, and staff are eligible for these services. 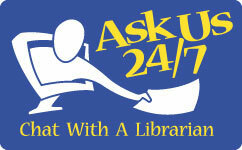 SUNY ESF students and faculty should contact Moon Library for interlibrary loan services. We regret that we are not able to offer interlibrary loan service to alumni or members of the local community. Visit the Onondaga County Public Library Interlibrary Loan web page for more information on their interlibrary loan services. This program allows faculty members from Syracuse University and other participating institutions to gain borrowing privileges and on-site access to many research libraries in North America. View the OCLC Reciprocal Faculty Borrowing Program membership roster [PDF]. All Syracuse University Faculty are eligible to participate in this program. To get information on how to gain access to other libraries, please email circhelp@syr.edu to facilitate establishing the credentials needed for faculty to access other libraries. Obtain and present appropriate identification when requesting a Reciprocal Faculty Borrowing Program card from the home library and show that card, along with other required identification, when borrowing materials from another library. Observe the borrowing policies of the lending library. Return materials in the method defined by the lending library within the loan period prescribed by the lending library. Return materials immediately, in person or by express shipping, if recalled by the lending library. This program allows faculty, students, and staff from Syracuse University and other participating institutions to gain on-site access to collections at many research libraries, museum libraries, and archives in the United States and several other countries. Syracuse University patrons visiting other SHARES partner libraries must present a valid Syracuse University I.D. to get on-site access. If you are visiting Syracuse University from a SHARES partner library, our doors are open to the public each day; please check our building hours. You do not need to present ID to get access to the building. Participating Institutions can be found on the SHARES website. If you have questions about this program contact the Resource Sharing Coordinator. In addition to accessing any of the SHARES Partner Institutions, a small number of SHARES libraries are offering the opportunity to create a library account and check out materials. Partners in the pilot program are: Brandeis University, Cornell University, Northwestern University, Syracuse University, University of California, Los Angeles, and Washington University in St. Louis. A Syracuse Universities Libraries staff member will verify your status with Syracuse and forward your application to the SHARES institution for which you plan to visit. It is the responsibility of the Syracuse University faculty, students, and staff who participate to observe the policies for on-site access set by the lending library. If you are visiting from one of the On-Site Borrowing pilot institutions and would like to borrow materials from Syracuse University Libraries locally, follow the steps below to set up a library account. Your home institution will submit your completed SHARES Reciprocal Borrowing Program Application to Syracuse University. Syracuse will contact you directly when your SHARES application has been received and processed. Visit the circulation desk in Bird library during open hours. A Syracuse University Library Card will NOT be issued without an approved application from your home institution; please make arrangements with your library before coming to Syracuse. Allow physical access and borrowing of circulating books in Bird and Carnegie Libraries. Allow you to check out up to ten items for 4 weeks with one renewal. Items can be returned at either Syracuse or your home institution's library. My Library Account: Account for due dates, renewals, requests, and fines. Interlibrary Loan (ILLiad): Account to manage and review your Interlibrary loan requests.